CE WEBCAST: Declining Reimbursement is a Real Problem. Reverse the Trend with Your Own Membership Plan! 1. Understand the reimbursement crisis and why it has become so difficult to run a profitable dental practice. 2. Learn the mindset of uninsured patients, how they think about dental care, and what they want in order to commit to more care. 3. Learn how to significantly improve the financial performance of your practice by offering a Membership Plan to your patients. 4. Learn how to implement a successful Membership Plan at your practice. It’s “Game Time”, the cementation of your restoration and the question, what to use? Use the wrong product or the wrong procedure and you are guaranteed premature failure. So, the questions… Do you bond? Do you prime? Do you silanate? Do you cleanse the crown and if so with what? Do you use one of the newer calcium releasing cements? How important is isolation? Oh…the questions! These are just some of the routine issues that this course is centered around. The goal of this course is to offer pathways to simplify the decision-making process. 1. From 1997 to 2016, the dental market grew 70% while dentist earnings remained flat! The webinar will explore why this is the case. 2. Dental insurance does not work for dentists or patients. The webinar will cover the specifics of why this is true and why it is getting worse, not better. 3. 38 million uninsured patients in the US visit the dentist each year, but they are 50-70% less compliant than insured patients. The webinar will explain why these patients avoid treatment and what you can do to improve treatment acceptance rates. 4. Practices are discovering that membership plan patients are the best patients. The webinar will show data from practices that offer membership plans to their patients and the impact it has had on revenue, profitability and practice valuation. 1. Understand some reasons why it has become more difficult to run a profitable dental practice. 2. Learn how uninsured patients think about dental care. 3. Learn how to significantly improve the financial performance of your practice by focusing on existing uninsured patients, avoiding the cost, hassle and typical failure of new patient specials and new patient marketing activities. Hosted By: Riley D. Clark, D.M.D. Join Dr. Riley Clark as he reviews two guided implant cases and walks you through his digital workflow. This course will help make implant placement and restoration more predictable than ever. Learn about the latest in digital technology; from 3D-printing of surgical guides and temporaries to scan bodies and final impressions. Take home an adoptable digital workflow that will make your implant cases less stressful and more enjoyable. Bring your team and learn how to become a digital implant office. About Riley D. Clark, D.M.D. Riley Clark completed his bachelors in biological sciences at Portland State University and then moved to Cleveland, Ohio for his D.M.D. program at Case Western Reserve University. Shortly after graduation he attended advanced training in anesthesia. Today, Riley and his wife, Kolt, have settled in Heber City, Utah with their three daughters. Professionally, Riley takes great pride in optimizing clinical efficiencies and digital workflows. He spends the majority of his time in private practice doing full-mouth dental implant rehab. He also teaches and mentors at WhiteCap Institute. He acts as a consultant to WhiteCap Dental Lab and Milling, where he focuses on full-mouth treatment sequencing and digital workflows in pre-operative procedures and final restorative procedures. He is passionate about dentistry and transforming patients’ lives through their smiles with dental implants. This webinar will focus on sealing the root canal system from “Root to Crown”, the endodontic/restorative relationship and how best to combine the two to ensure long term success. To learn the relationship and timing between endodontics and restorative dentistry to maximize the success of the endodontically treated tooth. There are two kinds of debt – let’s make sure you choose the right one! Dr. Charles Schlesinger, DDS, FICOI is a dental implant educator who has been lecturing internationally throughout the United States, Canada, China and the UK for the past 9 years. He graduated with honors from The Ohio State College of Dentistry in 1996. After graduation, he completed a General Practice residency at the VAMC San Diego and then went on to become the Chief Resident at the VAMC W. Los Angeles. During his time in Los Angeles, he completed extensive training in oral surgery, implantology and advanced restorative treatment. Once he completed his residency, Dr. Schlesinger maintained a thriving restorative and implant practice in San Diego, CA for 14 years. In 2012 he relocated to Albuquerque, NM to become the Director of Education and Clinical Affairs for OCO Biomedical. In 2013 he took over as Chief Operating Officer of OCO Biomedical along with his clinical responsibilities. He continues to provide patient care along with his educational and R&D responsibilities. Developing excellent clinical skills is the most important task in building a rewarding professional career. Next in importance comes the ability to build relationships and influence others. Finally, if you want to put those two things to work in the pursuit of an abundant life and practice, you will need to develop and execute practice strategies to accomplish that. Those three areas will be the substance of our webinar. Understanding the key clinical skills and how to develop those skills so that you can provide optimal dental care for your patients. Gaining insight into relationship development in your practice and the power of influence. Learning business and practice strategies that will differentiate you and allow you to transition into a practice that will support an abundant and balanced life for you and your family. Dr. McDonald is a graduate of the University of Texas Dental Branch at Houston, a fellow of the Academy of General Dentistry and the International College of Dentists. Also, he is a visiting faculty member at the Pankey Institute and Spear Education. He has given presentations at The Southwest Dental Conference, The Texas Meeting, The Chicago Mid Winter Dental Clinic, The Yankee Dental Congress, The Greater New York Dental Meeting, and The CDA Anaheim & San Francisco. He was the chairman of the 2015 Southwest Dental Conference and he is currently a member of the Council on Annual Session of the Texas Dental Association. In addition, he is a volunteer with Serving Him International Healthcare ministries serving in Braila, Romania since 1999. He maintains a private practice in Plano, Texas limited to esthetic, restorative, and Implant dentistry for adults and teenagers. There is much more competition than the days when just having a website was enough, and Google has changed the way it ranks websites. The only way to attract patients online over the long term is to build a better patient attraction system than anyone else. The goal of systems-based patient attraction is getting bigger results over time while putting in less effort over the same time. This webcast will tell dentists how to avoiding MAJOR marketing mistakes and the secrets to attracting more and better patients. Only dentists who want to dominate their market area and their competition should bother watching. Are you a “Piddler” dentist, or a “CEO” dentist? The #1 reason so many dental practices fail with their new patient attraction. Help identify areas where the front desk can be more effective to increase patient loyalty, increase profit margins, and decrease marketing spending. What happens at your front desk while you are in the back with your patients? Do you know what is being said on the phone? Do you know who called your office each day? Do you know what your staff did and didn’t do on each phone call? Your staff is too busy and they are missing out on multiple revenue generating opportunities on nearly every phone call. There isn’t enough time on each phone call to do everything they need to do! Your patients won’t stay on the phone long enough. Can your staff make each and every patient feel like you know them, even if your staff member started working for you yesterday? Your staff is overwhelmed with information to review and tasks to accomplish throughout the day. They can’t keep up with everything and you are losing valuable revenue because of it. Your patient retention rate is going down because your staff, despite how hard they work, can’t keep up with the work load. Join us on this upcoming webinar to learn how to make your front desk 10 times more effective. You’ll learn how many opportunities they are missing on each phone call and simple ways to help them be more efficient and effective throughout the day. You will immediately start to see a major boost in productivity and a significant increase to your bottom-line. Featuring Filtek Supreme Ultra Flowable and paste composites, the Filtek Bulk Fill and the Bioclear Matrix System. Contacts for Class II composites can be a practice builder or a practice killer. Until now there has not been a methodical approach to provide ideal contacts and embrasures for posterior composites. Even when the contact is tight, it is often a “point” contact, ragged and sharp. • What are the choices for restoring an implant with a single crown? • How can you plan the surgery to maximize your choices? • Understanding prosthetic space for implant prosthetics. • What are the issues to consider when choosing the implant restoration? • Should you chooses cement or screw retained options? • Should all implant crowns and abutments be customized? • When cementing implant crowns, what are the critical design features of the abutment? • Does zirconia work well as an implant crown abutment or crown substructure? • How to communicate with the dental lab technician regarding your possible implant prosthetic choices? • What should the occlusion pattern be on a single implant supported crown? 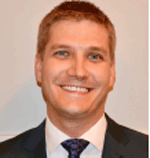 Dr. Scott MacLean is a graduate of Dalhousie Dental School Class of 1991. Dr. MacLean has a keen interest in providing all types of dentistry to his patients including implants, orthodontics, and general dentistry. He currently lectures internationally at dental conventions on the topic of dental implants, crown and bridge, and dental technology such as laser use. 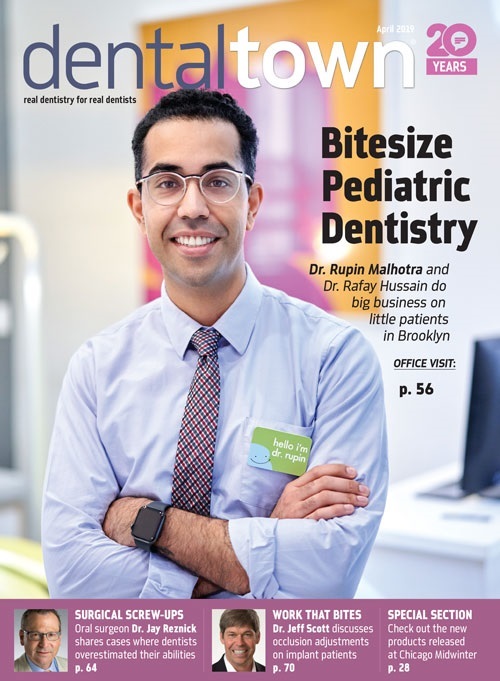 He also has published a monthly "Internet for Dentists" article in the Canadian Dental Association's Journal (JCDA). Dr. Scott teaches dental implants at the Dalhousie Dental School. Posterior composite resin restorations have become mainstream. These restorations seal teeth, reinforce remaining tooth structure, allow conservative preparations and satisfy patient desires for natural appearance. However, dentists complain that Class II composite restorations are tedious and time consuming to place, can be somewhat complicated and aren’t always predictable. In this presentation, Dr. Jackson will show a greatly simplified and efficient procedure for placing Class II composite restorations using new technology. The predictable, standardized system of placement achieves a significant reduction in both time and effort when placing these restorations.